While there are many common species of spiders in the Pacific Northwest, only a few are of concern. These are the Black Widow, Brown Recluse, Hobo or Aggressive House spider and the Giant House spider. Black widows are found east of the Cascades, not west of the mountains and Brown Recluse spiders are located in the central Midwest region of the country. Although Black widows and Brown recluse are not found here in western Washington they could be transported here. Treat the perimeter of the building with a professional residual pesticide such as Cynoff WP, Demon WP or Suspend SC at maximum strength. 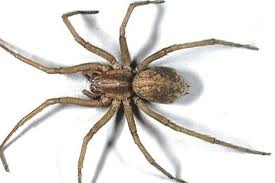 We do not suggest trying to control spiders with the use of pesticides purchased in grocery stores, hardware stores or big home supply stores. They rarely work! As you can see, all of the suggested pesticides are professional wettable powder or microencapsulated formulations. These products not only give you a super long residual kill with no odor, they also provide large particles on sprayed surfaces. This will give you the "knockdown" that you need to eliminate and control spiders. Indoors, you may also spray with Cynoff WP, Demon WP or Suspend SC in areas where spiders enter, hide or hunt for food. These areas may include baseboards, window sills, closets or around plumbing lines. For heavy infestations, you also need to use a contact aerosol such as Pyrethrin aerosol or Airdevil. In areas where spiders are heavy web builders, Cobweb Eliminator should be used two to three times per year indoors and on a quarterly basis outdoors. This will help eliminate existing webs and keep spiders from re-building more unsightly webs around windows, lights, in corners or other areas of your home.